Modern landscapes for outdoor living., The Midcentury Modern Landscape features a global array of contemporary gardens that reflect or reinterpret mid-century modern principles. 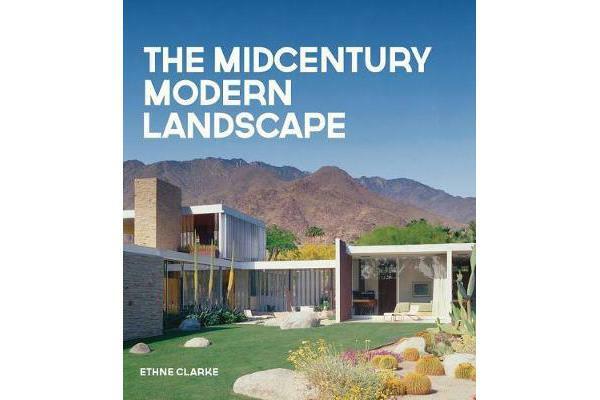 Lush photography and instructional essays highlight inspired midcentury modern outdoor design approaches: softscapes, hardscapes, plantings, furnishings, water features, creating shelter and shade, and more, to complement the modern home. 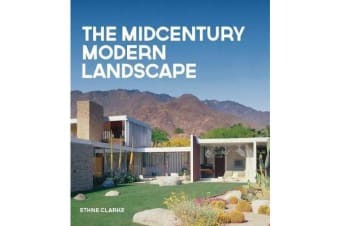 Whether looking for bold approaches to redefine your outdoor space, or a stunning coffee table book to complement your modern aesthetic, The Midcentury Modern Landscape is a great addition to the modern library. Ethne Clark teaches at the University of Colorado and Colorado College on garden history and the ethnography of landscape. As well as her academic profile, she is a hands-on gardener and garden designer and is the former editor of Rodale’s Organic Gardener magazine. She lives in Colorado Springs.